Max and I wanted to say a big THANK YOU to you all for visiting and taking part in our website. Our website has grown every month since we set it up four years ago and this month we have just reached the milestone of getting over 1,000 visits in a single day. So thank you from all over the world for making us the most popular website anywhere for all three types of schnauzer. Although minis are the most popular, we get lots of owners of Standards and Giants as well as Schnoodles making great contributions. Your photos, questions and stories of your experiences with your beloved pets have made the site the success it is. In fact Max is so pleased that he has given himself the day off (again) and after this morning's walk he retired to his comfy basket for the rest of the day. We get literally hundreds of questions about schnauzers - and schnoodles - and we have been working on putting them all down, with the answers!, into a unique book which will be available on the internet at some point, hopefully by the end of the Winter. There is, however, a lot more research to be done and Max will be back on the case tomorrow. In the meantime, if you have any questions or topics you would like to see included, please let us know by leaving a comment to this message. You're welcome and well done. 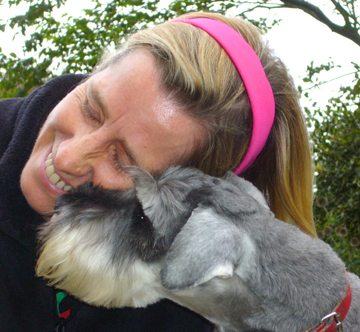 It's a great site and we love to read about the schnauzers and see the photos.